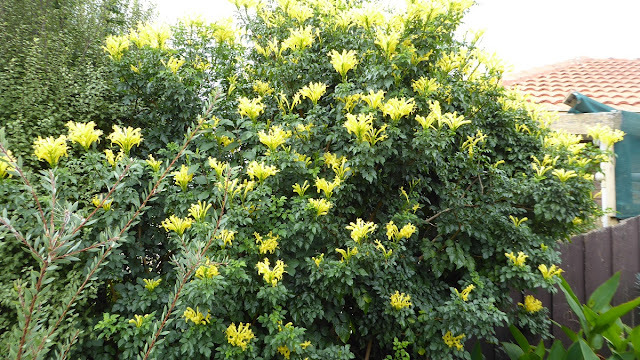 Does anyone know this plant, its flowering profusely at the moment, but it can be very invasive, and you need to be ruthless with the secateurs. 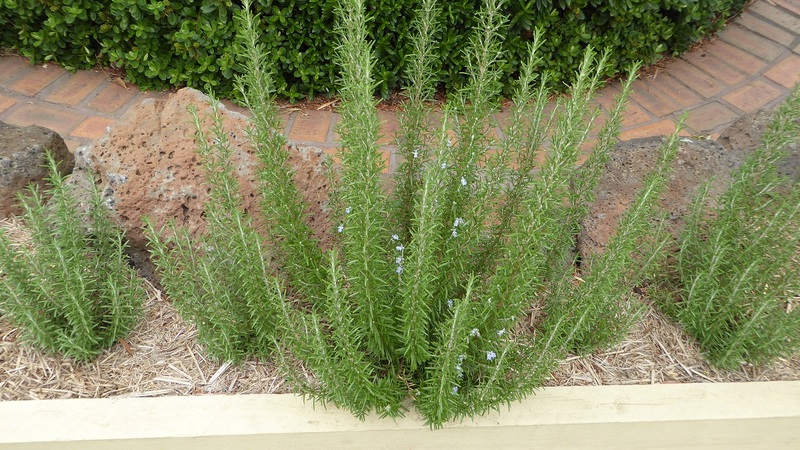 I have had it in my garden for a number of years in different spots and have lost track of its origins. 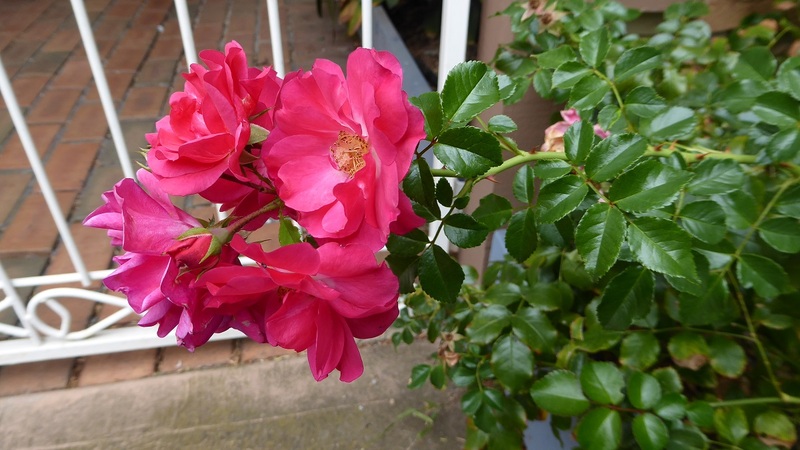 This is my April blog and the following photographs are from my garden. The vigour of summer growth is at an end and I am busy preparing beds for winter and spring harvested vegetables. This carpet rose is beautiful in spring, but continues to send up clusters of flowers during the warmer months provided you dead head spent flowers frequently. I took the cutting for this french lavender about a year ago, its parent is getting a bit long in the tooth, and I have planted replacements around the garden to help keep the bees interested. Similar to the lavendar, these rosemary bushes are replacements for rather woody parents, and the larger one is about 12 months old. 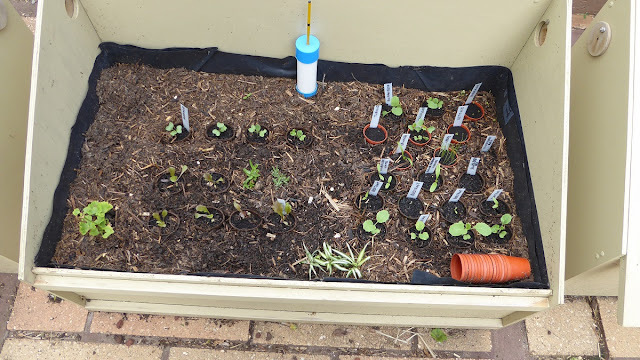 The mild climate of my propagators in winter make it easy to strike these cuttings at almost any time of the year, but I prefer to strike them in Autumn while the parent plant is still growing strongly. 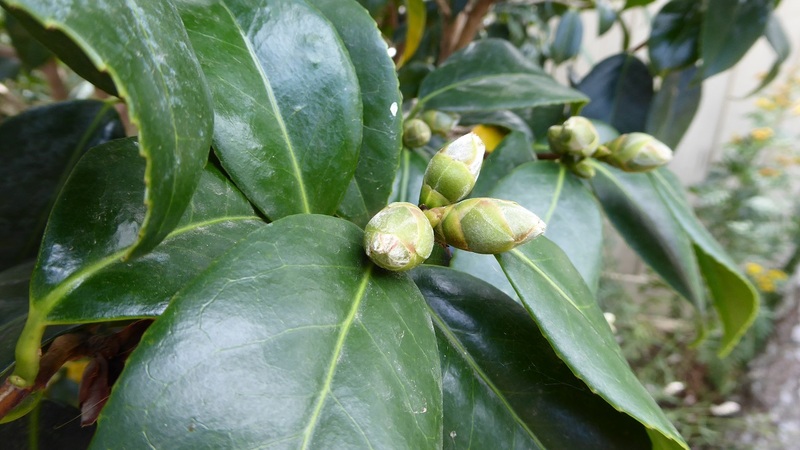 My camelias are setting buds, and I need to get round them and reduce the numbers. I will reduce each cluster to one single bud to maximise the size and quality of the flowers. 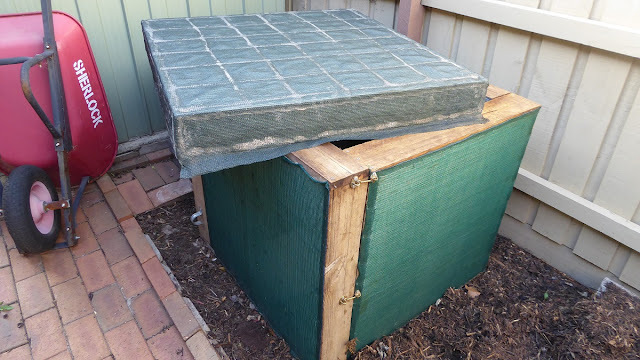 My first effort at making a lid for my thermal composter worked, but was too heavy and cumbersome. This is my latest effort: its made from 60mm polystyrene foam and 75% shadecloth. 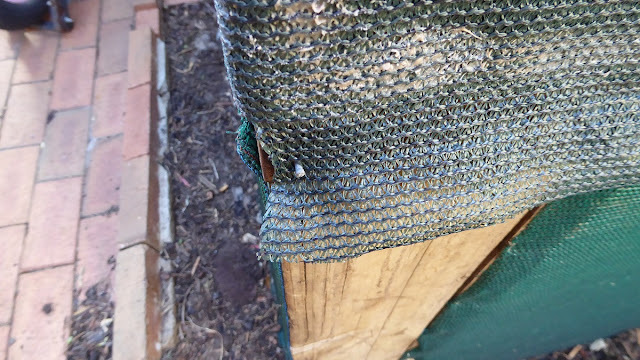 Two layers of the foam are laminated together using "no more nails" glue and covered with the shadecloth to improve impact resistance and add a bit of UV protection. The shadecloth is made from 2 pieces and glued into place. The top piece hangs down past the bottom of the lid so I can hook the lid onto the base using 35mm gal bullet head nails. 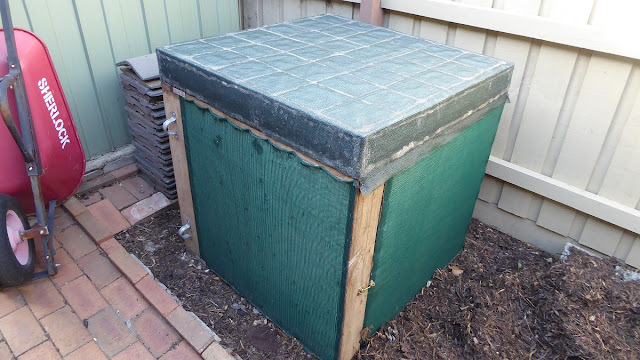 There are 4 of these hooking points holding the lid in position so it wont blow off the composter in windy conditions. They make the process of removing and replacing the lid very easy, and the lid is light enough for even an old man like me to handle. 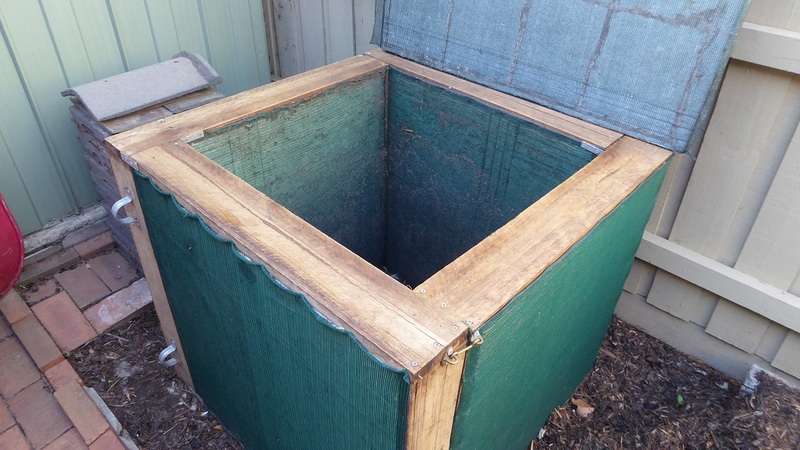 Here is the thermal composter ready to go. Lots of lovely apples safely protected in their expandable nylon socks. There has been some codling moth activity on them, but the ones affected had the larvae trapped inside the sock unable to get out. 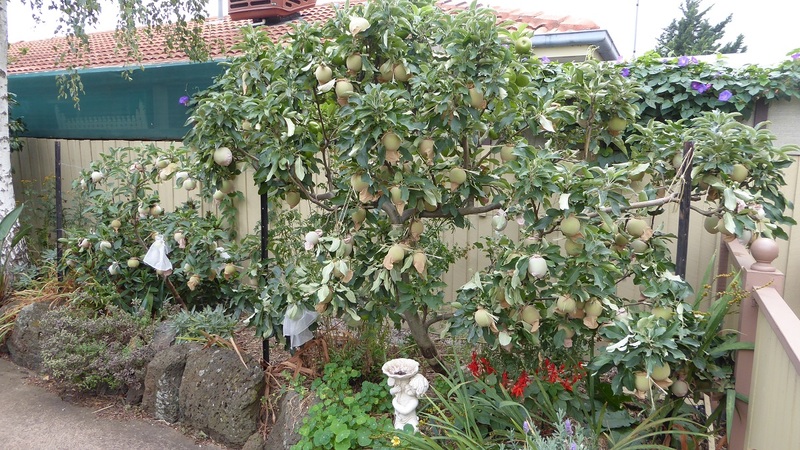 I think they may have got into the apples early before they were big enough to be fitted with socks. 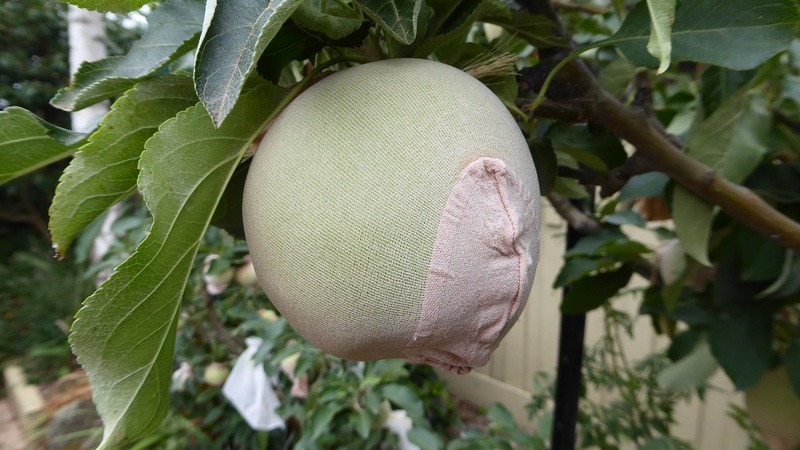 Anyway, I have only found a very small number of damaged apples so far, and I'm happy with my preventive measures this year. They will be a good size again by the time they finish growing. I hope their considerable combined weight doesn't damage the branches or fruiting spurs too much before harvest. 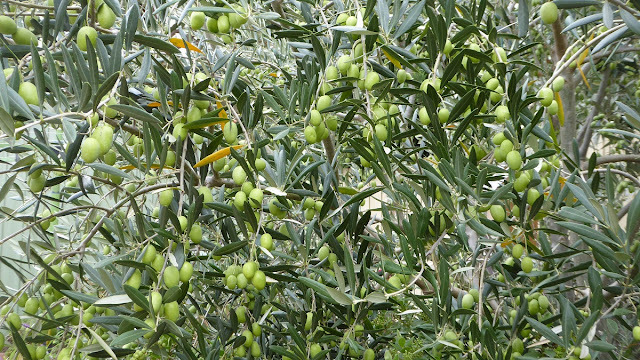 The olives are still looking good, but there is no sign of them ripening yet. I have 2 successions of lettuce, cabbage and turnips in my propagator, with broccoli, cauliflower, beetroot, spinach and silverbeet in support. I need to keep my eye on the weather so that when its starts getting too cold, I change lid inserts from vegenet to clear polycarbonate. This keeps seedlings protected and growing in the cooler conditions. 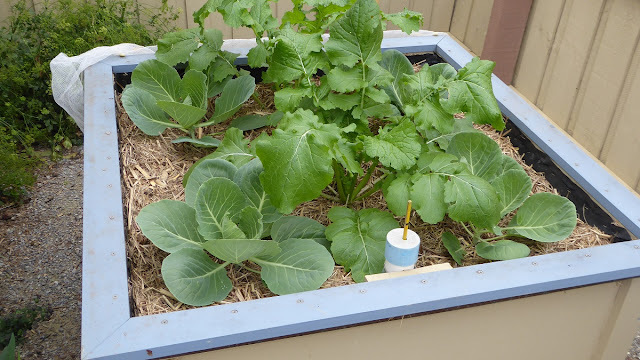 The mini Ecobeds are proving to be quite handy with this catch crop of brassicas filling the gap between harvesting my tomatoes, and sowing winter peas. 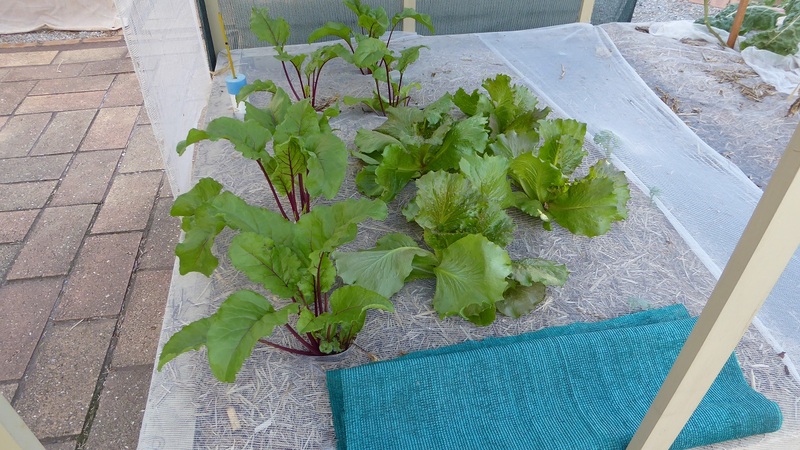 These lettuce and beetroot have been protected from intense sunlight by a canopy of 75% shadecloth, but the cooler months and shorter daylight hours are upon us, and I need to remove it now so they can put on more vigorous growth. I grew these succulents right through our last drought, they were fantastic, so I have taken cuttings of them all to use them in my ornamental garden at the front of the house. 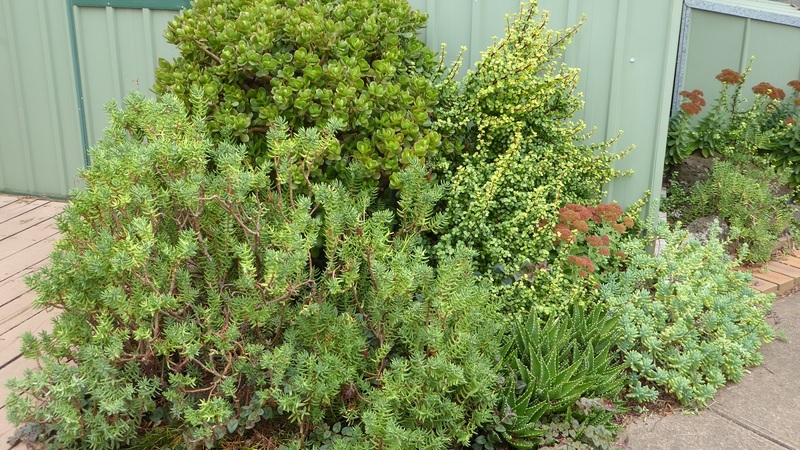 The Jade bush (top left) is forming buds and will flower in winter. 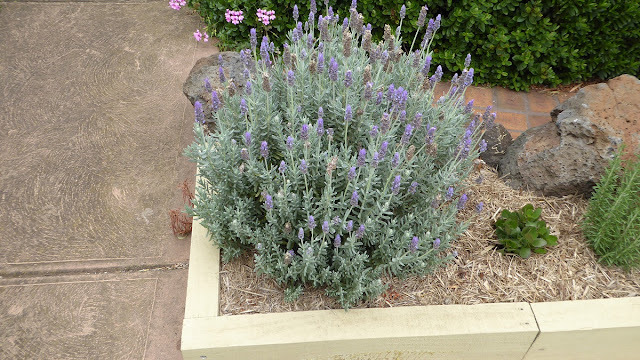 It attracts lots of bees brave enough to face the cooler weather (on a sunny day), and help themselves to some nectar.